Soteria Suppressors designed the unique see-through suppressors. 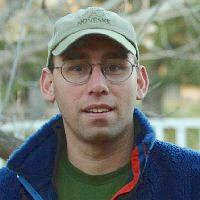 Commentary by Zak Smith of Thunder Beast Arms Corp. The high speed transparent silencer video is pretty neat. 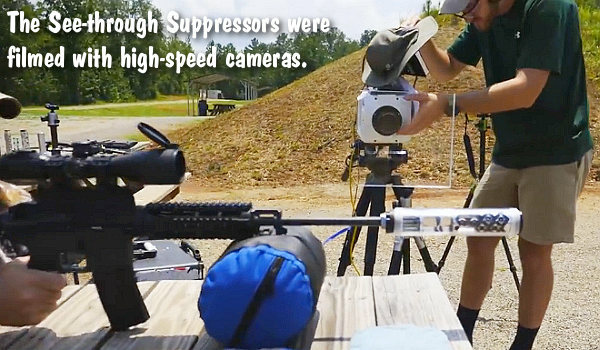 It certainly demonstrates, to some extent, the violence that happens inside centerfire rifle suppressor when firing. At Thunder Beast Arms Corp. we have carefully studied the forces/pressures operating inside suppressors. The “uncorking” pressure when the bullet exits the muzzle is typically in the 8,000 to 15,000 psi range, but some combinations of cartridge and barrel length can extend this up to the 25,000 psi range. Job #1 of a suppressor designer is to build a suppressor that won’t explode. Job #2 is to build one that quiets down the muzzle report significantly. Doing that well, with the minimum amount of material, is the tricky part. Suppressor design is both art and science, and we approach our R&D from three sides: experience, experimental testing, and computation. There are a lot of opinions about how to design a quiet suppressor. Many of these are based on preconceived notions of how suppression “should work”. These theories may or may not work when built and tested in the real world. Where the rubber hits the road is experimental testing. I would say that a majority of knowledge about “How to design a quiet suppressor” comes from building hundreds or thousands of prototypes and testing them with good equipment in a cogent experimental process. Some of those theories pan out, but many of them do not. 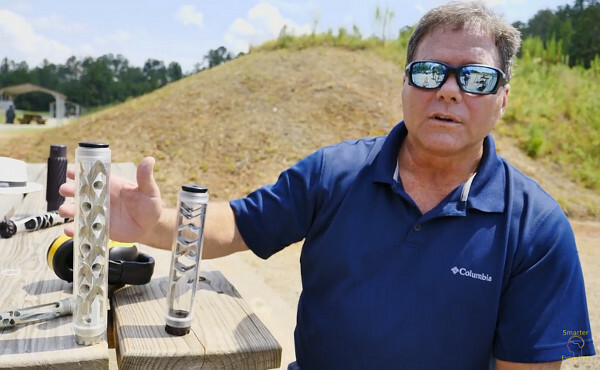 Thunder Beast Arms Tests its Suppressors in the Lab and in the Field. suppressor, and the results must always be checked and compared to reality. Thunder Beast Arms Corporation was started ten years ago with the goal of producing the best precision rifle suppressors. Our current ULTRA series in .223, 6.5 mm, .308, and .338 calibers provides industry-leading suppression performance with very light weight. 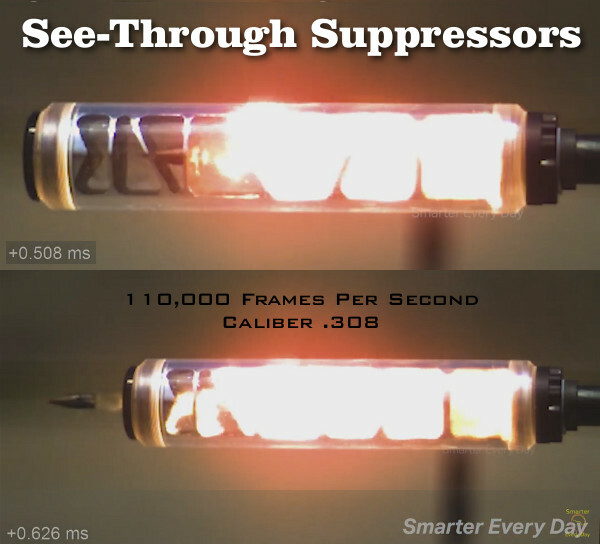 Share the post "Amazing See-Through Suppressor Video from Smarter Every Day"